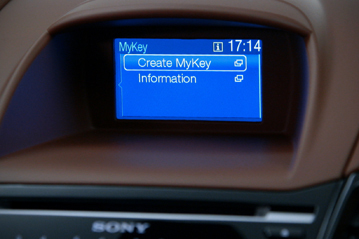 There is only one choice of speed to which the car can be limited when MyKey is in use, and this speed is slightly above the national motorway speed limits of most countries. There is no detection of the road type on which the car is being driven. The accidents which will be prevented by the system represent a sub-set of all accident types in which young people are killed or injured. The greatest limitation is the extent to which it will be used by parents or guardians. Ford can make the system available but cannot make people use it. MyKey has been designed to allow a configuration to be achieved which is agreeable to all parties and it is expected that this flexibility will encourage widespread use.